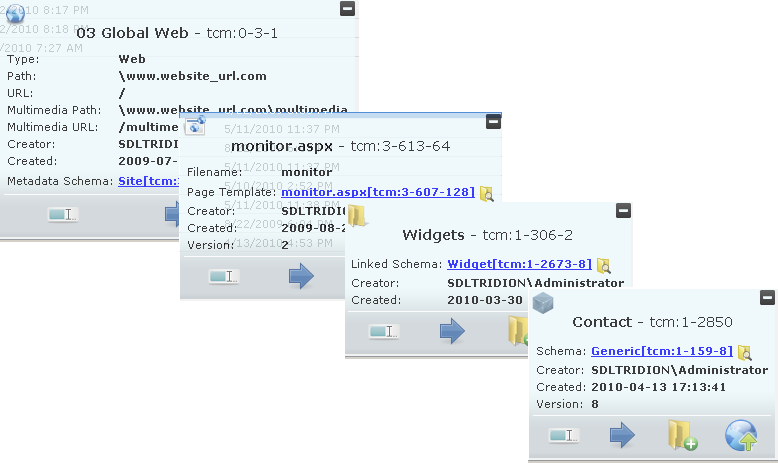 The helper loads within the list view of the main Tridion 2011 GUI and shows additional information about the selected item in the list so there is no need to open a new dialog window just to see the schema being used by a Component or the directory name of a Structure Group just to name a couple of examples. When I released it the first time I considered it to be a beta as it was a little rushed. Today Im happy to announce that the Helper is all grown up now and at version 1.0, boasting a host of new features and improvements.